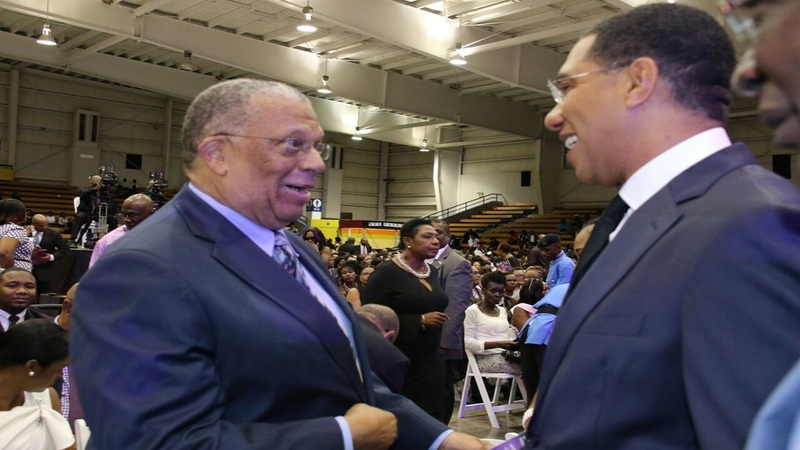 File photo of Prime Minister Andrew Holness (right) with Opposition Leader Dr Peter Phillips. 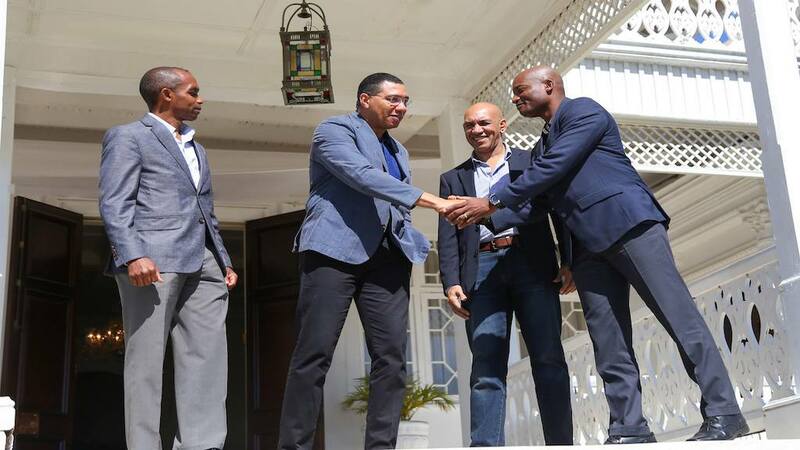 Prime Minister Andrew Holness and Opposition Leader Dr Peter Phillips met Wednesday in private talks at Vale Royal where they discussed matters related to national security. The face-to-face meeting of the two leaders followed a much publicised war-of-words between them, which followed the Opposition’s decision to withdraw its support for the three states of emergency (SOEs) that were imposed across several parishes in 2018 to rein in rampant crime, particularly murders. Uncertainty surrounded any meeting between the two men as late as Wednesday morning. This, as Phillips had indicated an inability to meet before January 7. 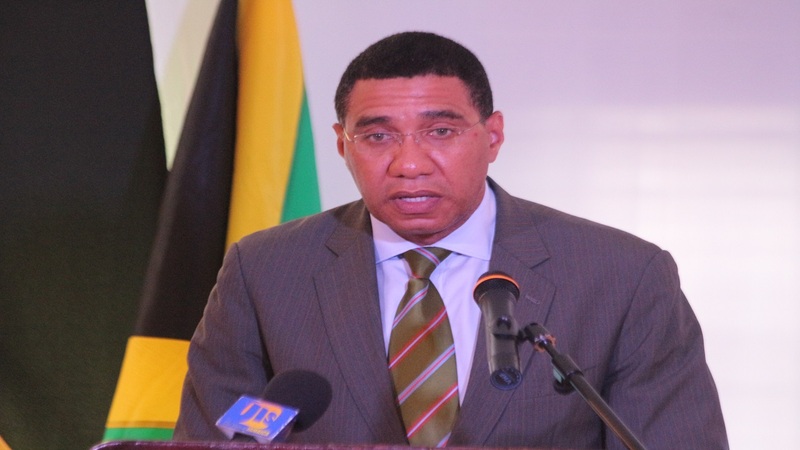 On Monday, Holness had invited Phillips and his team to meet with him on Wednesday to discuss issues surrounding the extension of the SOEs. However, Phillips responded on Tuesday, stating that such a meeting would have been impossible, "given the short notice". The Opposition Leader had suggested that, instead, a preparatory group headed by the General Secretary of the People’s National Party, Julian Robinson, should meet immediately to settle arrangements for the meeting of the party leaders. The preliminary meeting would include the date, time, list of invitees, agenda for discussion, and other relevant matters. Responding, Director of Communications in the Office of the Prime Minister, Robert Morgan, said "it's very interesting to note that the leader of the Opposition has delayed his interest in meeting until after two of the SOEs have expired." However, it appeared that, behind the scenes, talks overnight facilitated Wednesday’s meeting. “They agreed that a meeting of teams from the Government and Opposition will take place next Monday, January 7, 2019. They also agreed that, at the Monday meeting a date will be determined for a meeting with other stakeholders,” the statement concluded. 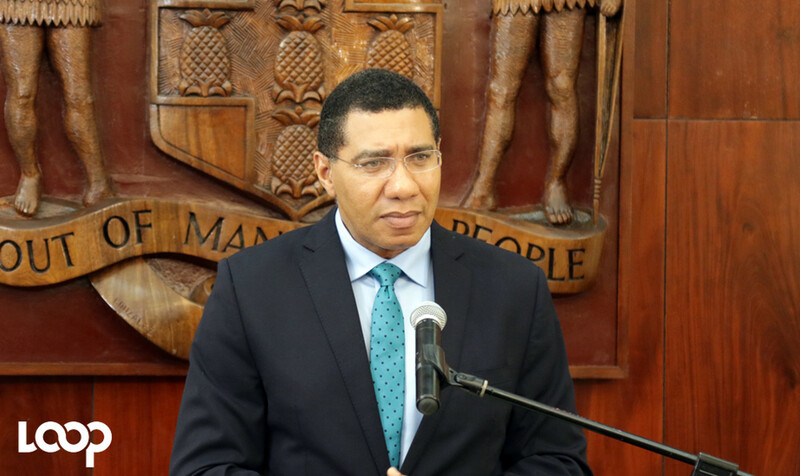 A war of words erupted between Holness and Phillips following the decision by the Opposition on December 11, to withdraw its support from the SOEs. The impending end of the security measure has dealt a major blow to a key component of the Government’s crime-fighting measures as the SOEs have been credited with a 22 per cent decline in murders in 2018 when compared with the previous year. However, having supported the emergency measure for one year (the first SOE was implemented in St James on January 18, last year) the Opposition has deemed them to be unconstitutional and has said they were no longer effective. The SOE in the St Catherine North division ends on Wednesday while the Corporate Area SOE comes to an end next Monday, January 7. The St James SOE will end on January 31. There have been differing opinions on the constitutionality and effectiveness of the SOEs. While initially hesitant, the influential Jamaica Hotel and Tourist Association extended its support for the SOE in St James and expressed concerns once the Opposition withdrew its support. Both the Commissioner of Police, Major General Antony Anderson and Chief of Defence Staff, Major General Rocky Meade had made the case for the emergency measure to be extended, citing the successes and the need for more time to ensure the gains were lasting. For his part, President of the Private Sector Organisation, Howard Mitchell, suggested that the constitutionality of the SOEs should be determined in the courts.